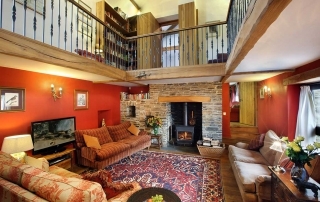 Coulscott’s biggest luxury property with five bedrooms sleeping ten people (plus 2 cots). 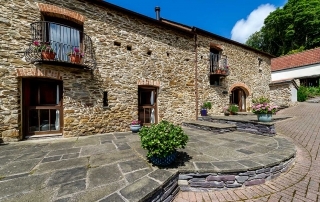 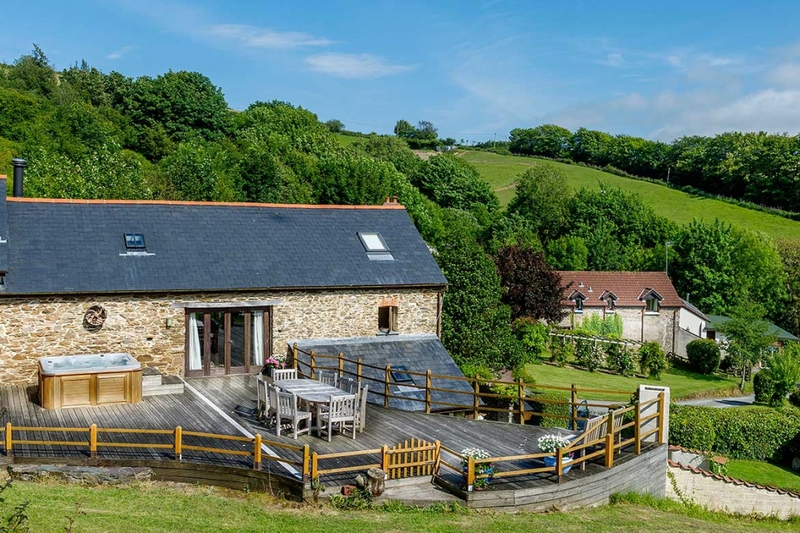 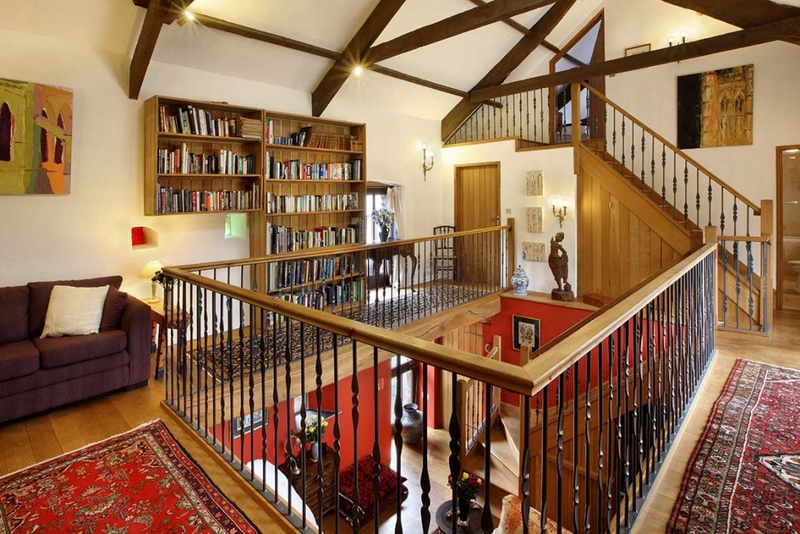 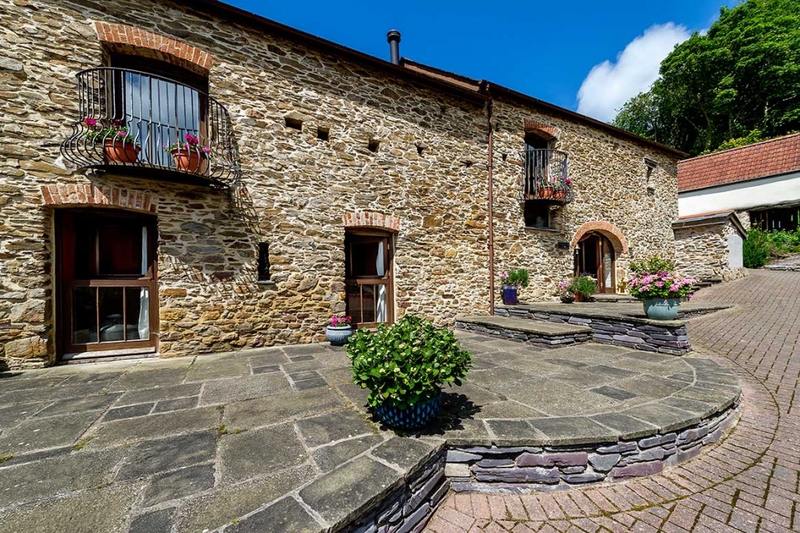 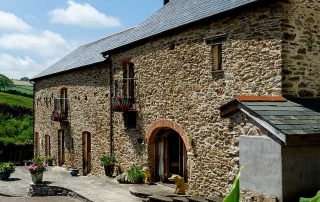 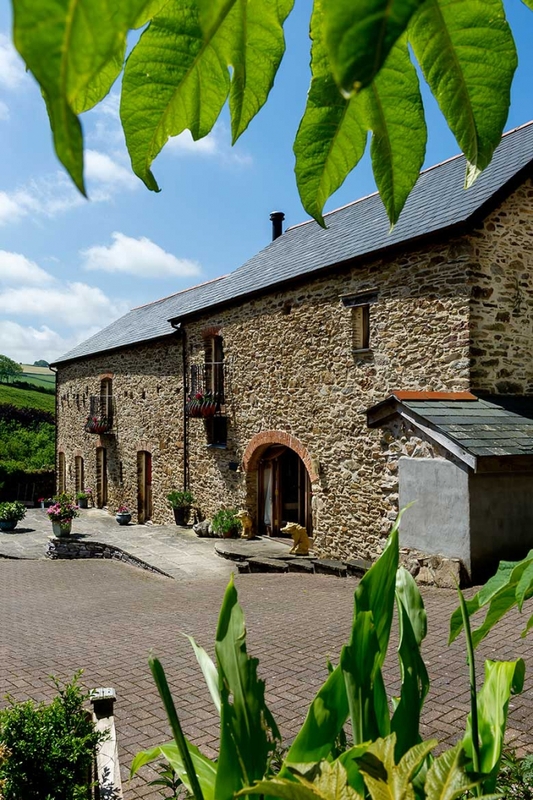 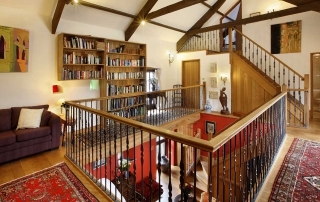 This barn was beautifully converted about 8 years ago and has just been extensively refurbished. The front door of the Old Barn leads in to a large well equipt kitchen (complete with a four door aga). 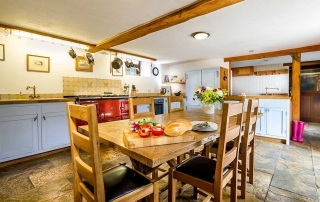 There is a table with seating for 10. 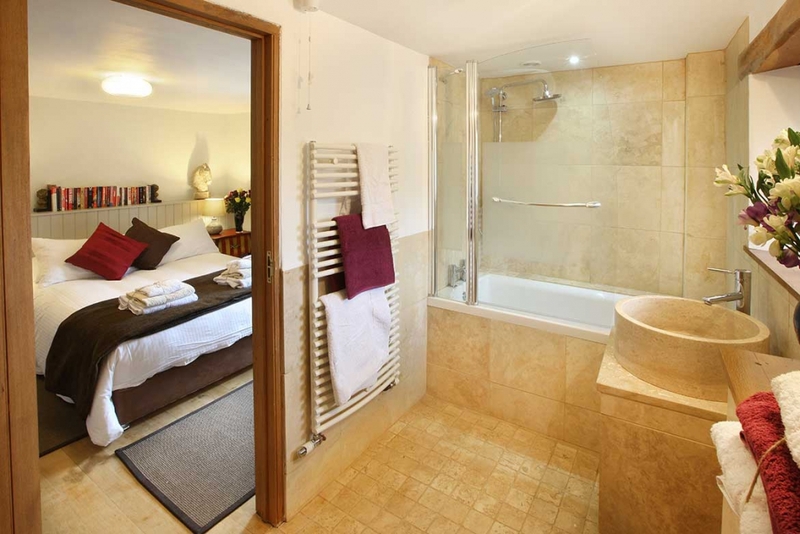 To the side of the kitchen is a cloakroom / utility room and downstairs loo. 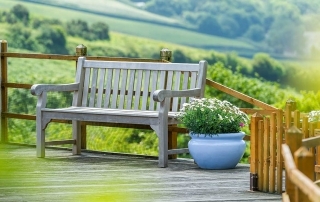 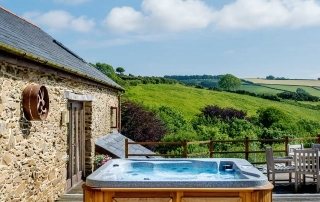 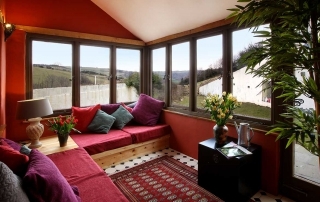 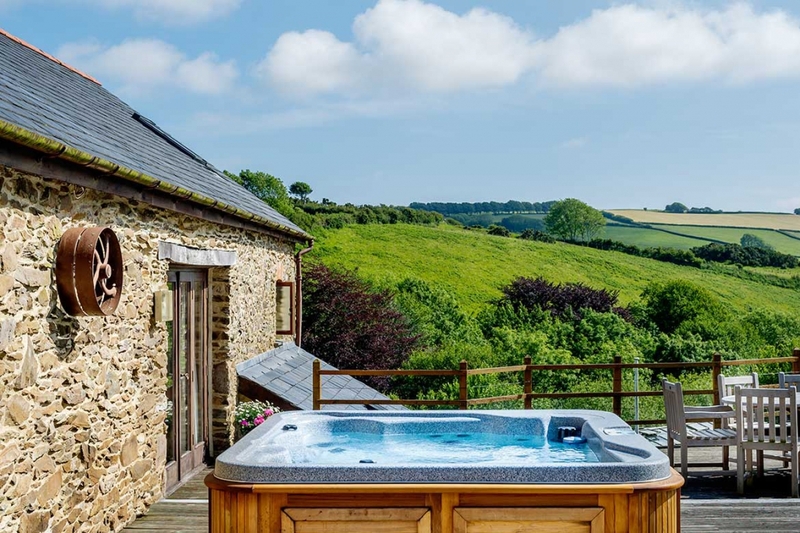 Leading on from the kitchen is a stunning triple height drawing room, the gallery above this has wonderful views down the valley and opens on to private decking complete with hot tub, barbecue and garden furniture. 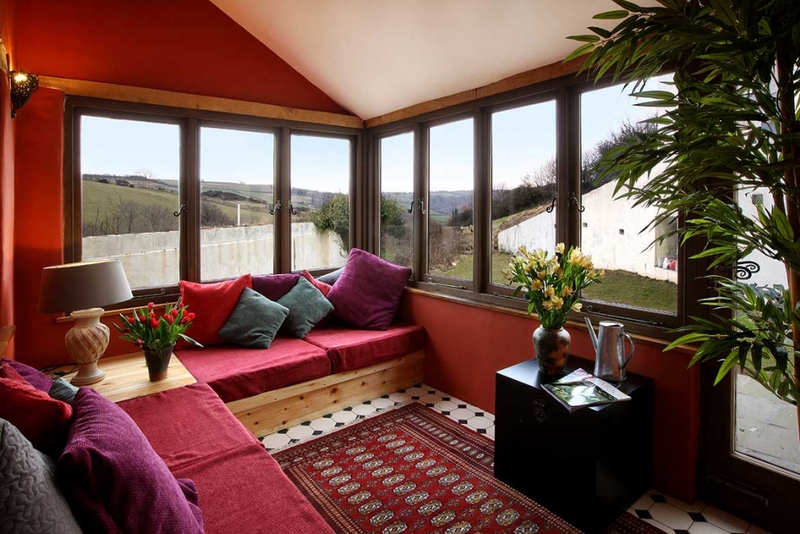 A corner of the gallery is used as a snug, with a comfy sofa. 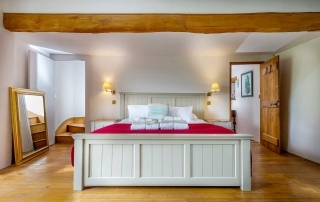 The first bedroom is on the ground floor, it has super king size bed and ensuite shower room as well as a beautiful sunroom complete with comfy divans (the sun room opens up on to a small private terrace and lawn). 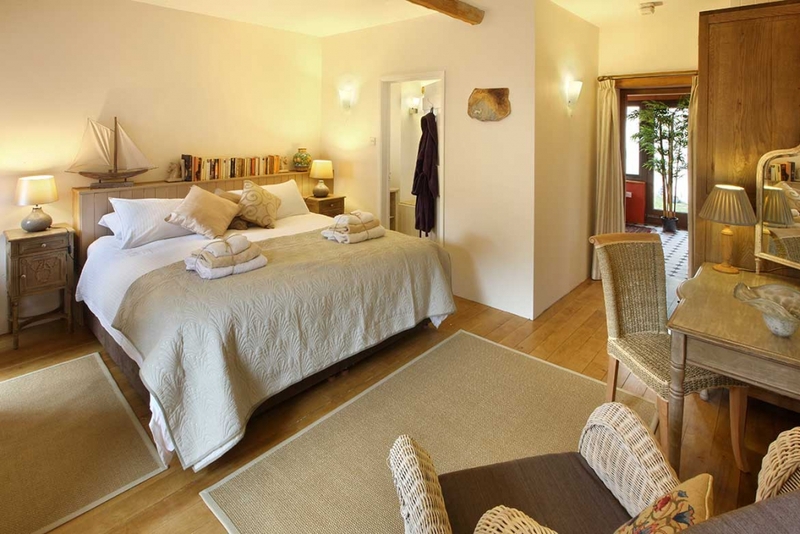 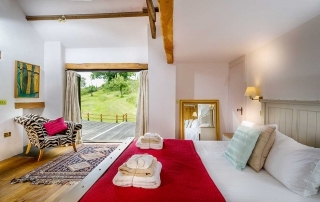 Above is a bedroom with a king size bed – this is connected to the family bathroom and has its own balcony with views down the valley. 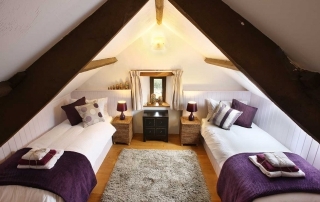 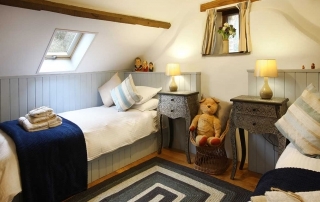 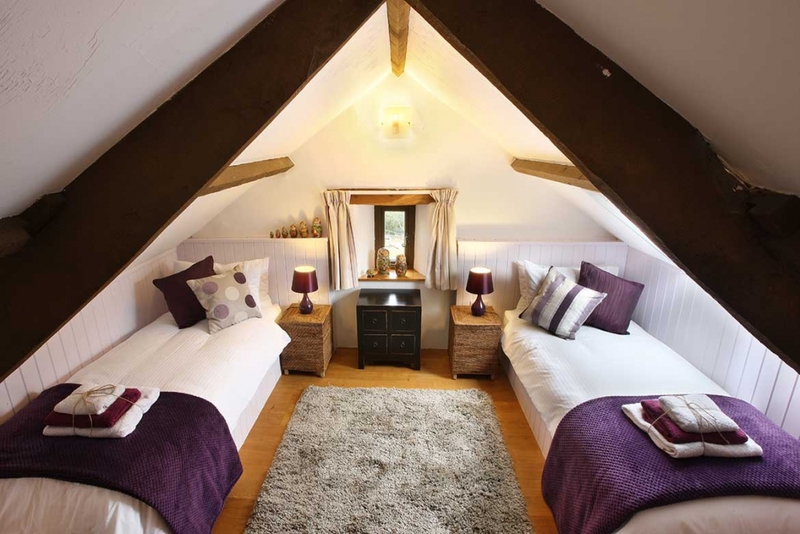 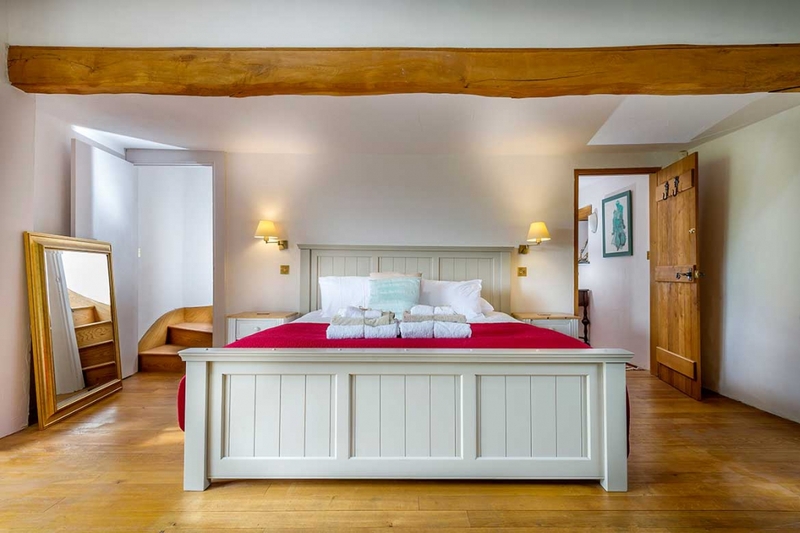 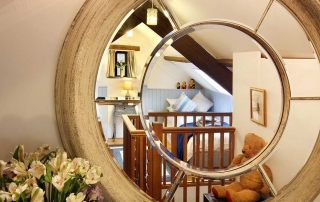 Up in the beams of the barn is a cosy twin bedroom. 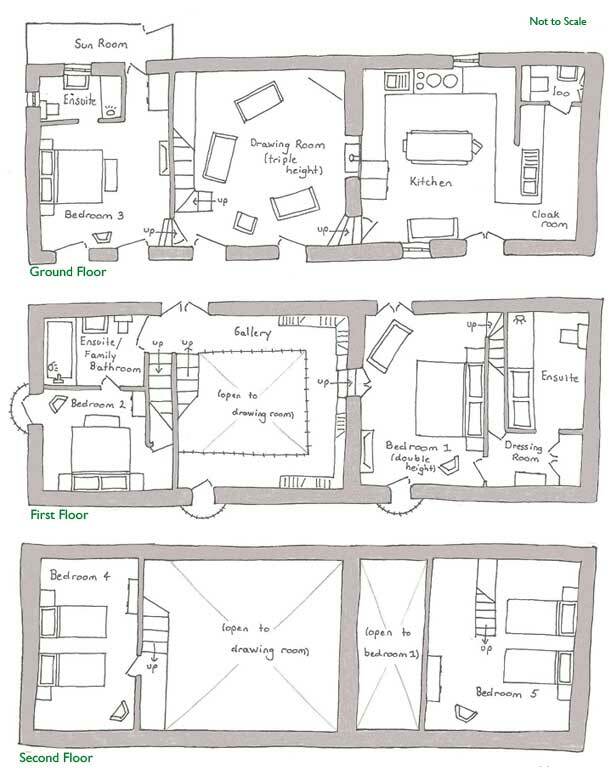 At the opposite end of the building is the Family Suite. 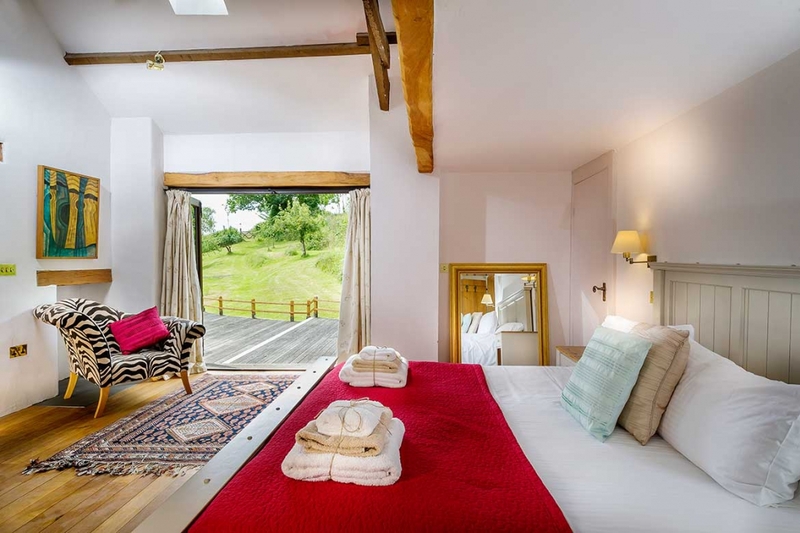 This contains a large bedroom (which opens up on to the decking and has views across the valley) with a super king size bed, a dressing room and an ensuite shower room. 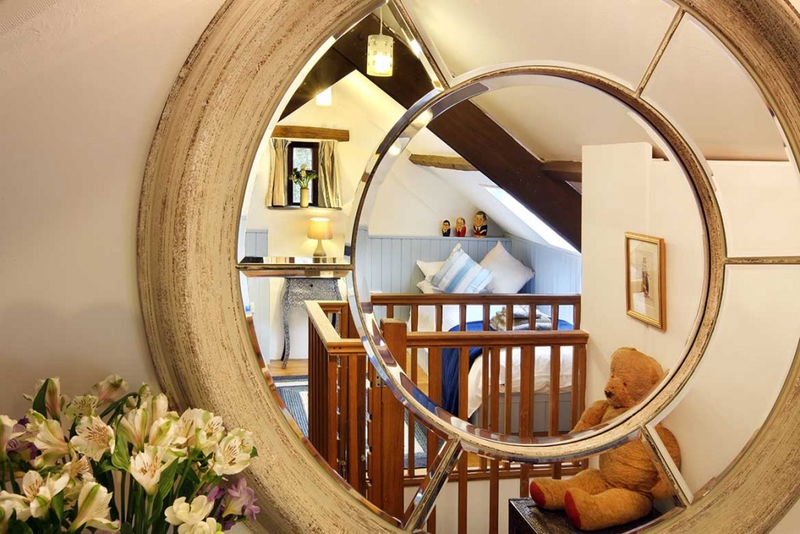 Above the Master bedroom is another twin bedroom / play room. 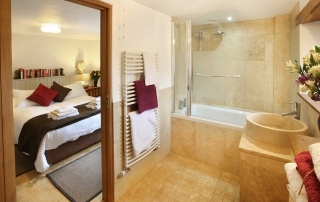 It is accessed through the main bedroom but is completely separate and has two full sized twin beds.